​Angle-Injected BOS 100® PRB Pilot Succeeds at PCE Superfund Site - Remediation Products, Inc.
AST Environmental, Inc (RPI Group Member) working with AECOM in Statesville, North Carolina has successfully completed an angle-injected BOS 100® pilot test at a former textiles facility where PCE was used in a dry-cleaning operation. 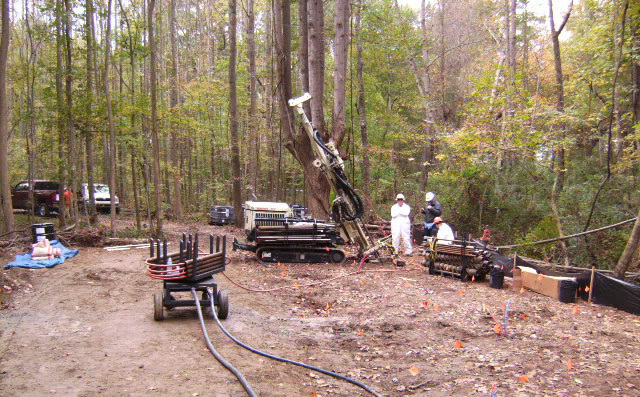 Based on eliminating 96% to 100% of the PCE in the test barrier area, the pilot test was deemed a success, resulting in approval for the full scale injection at the large site by the EPA. To read more on the characterization process and why an angled injection approach was chosen, read here. Copyright © 2017 Remediation Products, Inc.